Times have most definitely moved on in a positive way. Only a few years ago the majority of soft seating would either have been found in a reception area or perhaps in executive lounges. Thankfully this has all changed for the better and we are really excited by our range of creative choices. Soft seating has now become an essential part of any office plan and plays an important role in creating a good environment. When integrated correctly, it can help create superb environments where both individuals and work spaces operate seamlessly. Communal areas with a variety of seating configurations can be an ideal place to hold quick team meetings, grab some time away from a work space, be creative and focus whilst avoiding interruption. 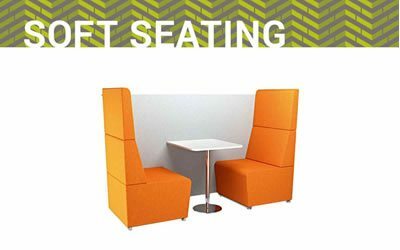 Breakout areas are typically created with an array of soft seating and reconfigurable tables. Importantly the way in which these areas are set up needs to be flexible and moveable. With the addition of soft seating, booth chairs and/or pods, ideal spaces can be created to offer open sociable areas, or private areas to retreat to when you need to concentrate. Soft seating has also transformed chill out rooms, often they consist of a wall mounted television, coffee facilities and snack machines. The addition of soft seating can create an area which can allow you to switch off, clear your head and become a creative in your thinking. Why are breakout areas, creative spaces or chill out rooms so important? One of the considerations at the forefront of our design teams mind, is the amount of time we spend sitting at desks staring at computer screens. I’m sure we can all recognise this setup. Perhaps that is where you are reading this blog now. This has become a staple set up for the majority of office environments. It often involves long hours sitting, concentrating on a screen, typing and clicking a mouse. This can be detrimental (and not only to the productivity of the office) to the health of each individual. By incorporating a breakout area, a creative space or chill out room into the office space could encourage employees to take a break away from their screens without having to leave the office environment. Keeping the working atmosphere, these areas provide an area for employees to talk and engage with each other. Creating happy employees can really improve productivity and contribute towards the health and wellbeing of an essential aspect of any business – your staff team. An increase in moral can lead to an improvement in productivity and reducing stresses and pressures often decreases sickness days. The collaborative environment of a break out area (of any shape and size) can provide the office members with a feeling of wellbeing and a place they are happy to spend time in. The colours and textures of the soft seating is also very important, enhancing the atmosphere, underpinning the corporate brand and allowing any office space to express a personality. We find organisations that create break out spaces, inject a very positive feeling in the working environment, in fact it has been linked with a boost in office moral. We can’t promise this; we cannot guarantee that soft seating is a magic wand. However, we can provide bespoke soft seating solutions that can help your organisation feel a benfit. 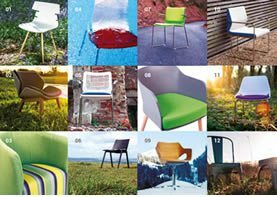 Remember; soft seating incorporates various styles and designs from self-contained pods, to meeting room and lounge chairs. 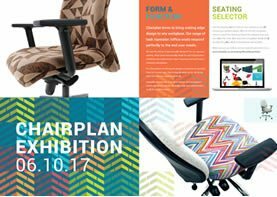 To get a quotation, order chairs or find out about becoming a Chairplan partner or dealer, simply contact us. Is your office seating static safe? Registered office: Chairplan, Unit 2 South Close, Royston Industrial Estate, Royston, Hertfordshire, SG8 5UH.